Nigeria will put her strongest foot forward right from kick-off against Libya’s Mediterranean Knights in Saturday evening’s 2019 Africa Cup of Nations qualifier at the Akwa Ibom Stadium in Uyo. Coach Gernot Rohr underscored the No-Option-To-Victory stance on Thursday, and has instructed his charges to dig deep into their reserves and replicate what they did against African champions Cameroon in a similar situation 11 months ago. Its another Matchday 3 encounter and another quick home-and-away experience, though this time, it is in an Africa Cup of Nations qualifying race and the opponents are Libya. 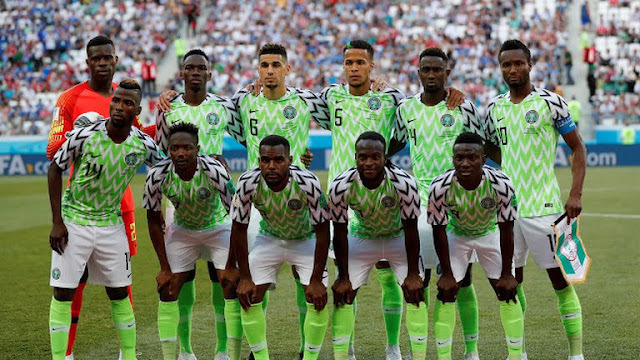 Rohr is calling on stand-in skipper Ahmed Musa and the rest of the squad to earn a credible result on Saturday and go ahead to dig their feet into the ground in the return in Sfax on Tuesday. Referee Jean-Jacques Ndala Ngambo, alongside compatriots Olivier Safari Kabene (Assistant Referee 1), Nabina Blaise Sebutu (Assistant Referee 2) and Malala Kabanga Yannick (Reserve Referee) – all from the Democratic Republc of Congo – have arrived in Lagos. They will fly into Uyo on Friday morning. The match commissioner, Mr. Andy Quame from Liberia, as well as South African Dan Van Vuuren (security officer) and Malian Koman Coulibaly (referee assessor) will also arrive in Uyo on Friday.